Drug-related killings on the street, countries destabilised by drug addiction, young lives wrecked by drug abuse, tragic addiction deaths.Police chiefs and judges say the war against drugs is lost.Every day calls to soften the law get louder, while parents, schools and governments are confused about how to prevent abuse. At the same time, the worst predictions about new crack epidemics and other drug addiction nightmares have turned out to be drug abuse scare stories.So what is the truth about drug addiction and chemical abuse? What should we expect? How should we respond to growing drug abuse? Dr Dixon takes a hard look at the facts about drug addiction and drug absue and argues for urgent action. "Drug addiction is far more serious than most people realise but the good news is that treatment for drug addiction works.There are many practical steps that can be taken to tackle the drug addiction problem. For example random compulsory testing for both drugs and alcohol should be introduced widely to identify those who need help, increase productivity and protect public safety. Legalization - disaster or the only way forward? Dr Dixon concludes with a ten point plan for the government and a practical way forward for parents, teachers and others concerned about drug addiction. Dr Patrick Dixon MA MBBS has been involved in the AIDS field for more than ten years and has seen at first hand in several continents the personal destruction caused by drug addiction.He is well known as an author, broadcaster and lecturer on global trends. Other books include The Truth about AIDS, The Genetic Revolution, The Rising Price of Love and The Truth about Westminster. We have to fight drugs in our society. 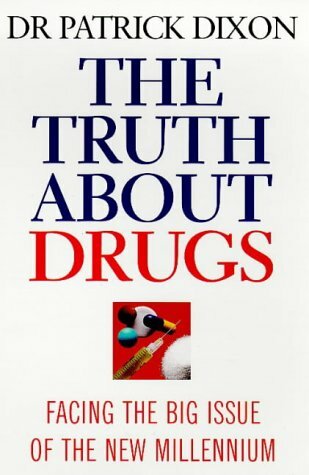 The entire text of the book The Truth about Drugs is here on this website for you to read. If you find it interesting, or helpful, or disagree with what is said, please do post all your comments / thoughts. Haha, shouldn't you be charging for that kind of konwlgede?! DVD "The Truth About Drugs"
Re: DVD "The Truth About Drugs"
I would like to receive a copy of the DVD "The Truth About Drugs"